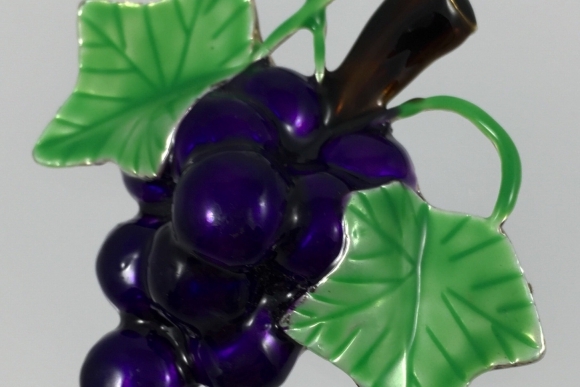 This rich purple enamel grape cluster brooch is highlighted by green enamel grape leaves and a brown stem. 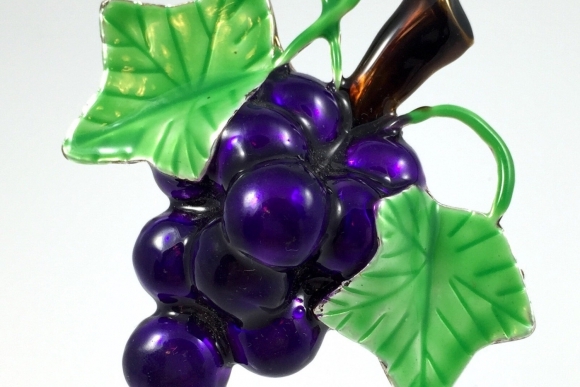 This vintage grape brooch is an ideal gift for the wine lover in your life! 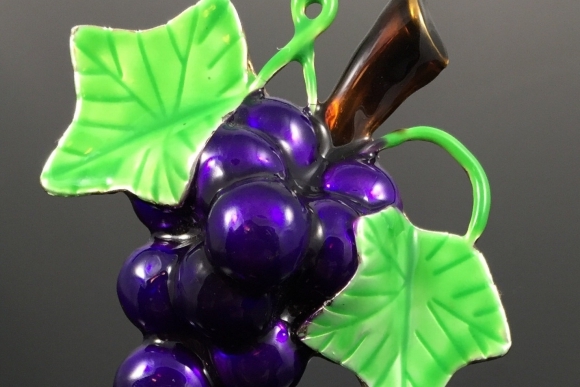 Its also a great fall accessory. Signed MJ. 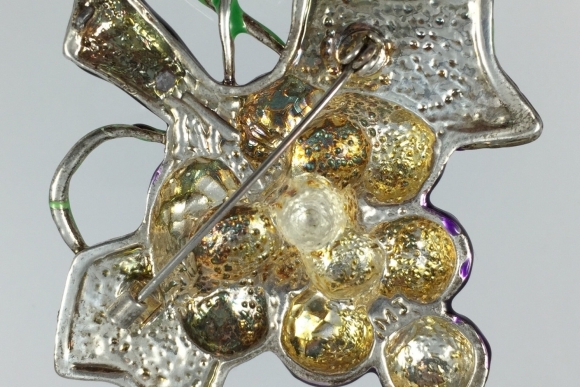 The brooch measures 2.5 x 2.5. Good condition. 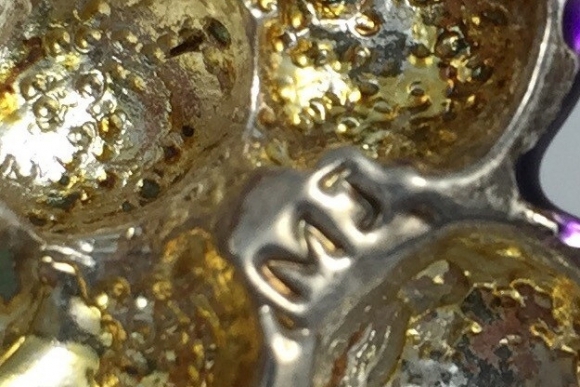 Oxidation is visible on the silver plated back, and there are two rough spots on the back of the stem where I think a pendant bail may have been attached. Circa 1980s.